If you know a thing or two about law enforcement, you know that all this new technology cops depend on to do the job is a pretty new development. Police officers, more or less, operate like they did before the internet. But the world of technology changes by the hour. For every new security feature or virus protection, there’s a hacker developing a way around it in real time. One glaring example of the fact that law enforcement could use some tech-help is the fact that the FBI recently had to fork over more than a million bucks to get a private company to hack the San Bernardino shooters’ work phone. What did they find? Who knows? Now Eastern European hackers are targeting US law enforcement agencies for ransom. These are viruses that seize control of a computer system’s files and lock the rightful owners out. The hackers then hold the valuable data hostage if the victims don’t pay a ransom online with Bitcoins – an untraceable from of digital currency. When victims pay up, the hackers give them a virtual key to get their files back. If the victims, in this case police departments, don’t pay the hackers, they delete the data as threatened. This has happened to agencies all over the country from Alabama to New Hampshire. In fact, in the last three years, police departments have been turned into victims by hackers in no less than seven states. Here’s the kicker. The FBI’s advice for local officials is simple. “To be honest, we often advise people to just pay the ransom,” Joseph Bonavolonta, a Boston FBI cyber and counterintelligence specialist, told a security conference last fall. So are these hackers actually computer wizards? Staying secure online costs money – whether you’re an individual or a police department. 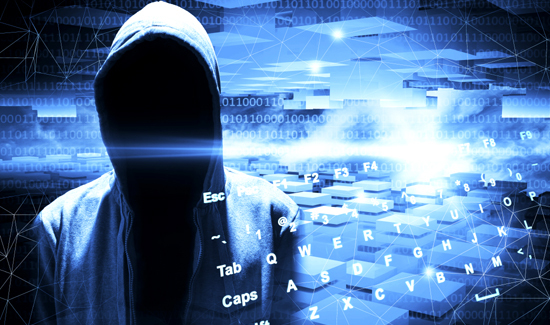 Hackers simply look for high-value targets with inferior cyber-security. “Think about it,” said Robert Siciliano, an online safety expert for Intel Security. “It’s not unheard of to see a Windows XP or Vista still in action in a law enforcement environment,” he went on to say. And that’s where law enforcement is so outmatched by some 19-year-old kid that can read and write code in his mom’s Romanian basement. Cops are a lot of good things, but “technically proficient” ain’t one of them. That’s why it stings so bad when cops become victims. “My initial reaction was ‘No way!” said Sheriff Todd Brackett of Lincoln County, Maine, whose system was frozen last spring told reporters. He paid up 48 hours after he got the ransom letter. Last year, the FBI logged 2,500 ransomware attack complaints that cost victims $24 million. In the first three months of 2016, ransomware attacks cost Americans another $209 million. And here’s the scary part – because authorities are reluctant to even make the fact that they’ve been hacked public, the figures are probably much, much higher. The only good news is that the hackers frequently ask for figures in the low three or four figure range. That’s why the FBI tells victims just to pay up and be done with it rather than having a law enforcement agency losing all its data to avoid paying $500 in ransom to some kid in Estonia. Why not back-up all your data daily to a hard drive and unplug it and connect it to a computer with no internet connection? Or on flash drives?